Entrepreneurship is a career. To succeed, you must approach it strategically. Growing up, our parents taught us to choose a career path that we enjoy. To love what we do. That teaching has carried over into our adult lives and is essentially what we strive for in our careers. According to the Pew Research Center, 49 percent of working Americans are unsatisfied in their jobs. Furthermore, The Balance reports that the average worker changes jobs 10-15 times in their career. We are constantly looking for that love and that passion from which to build our careers and our businesses -- but most people aren't finding it. That's because what you love to do doesn't always make sense for your career. 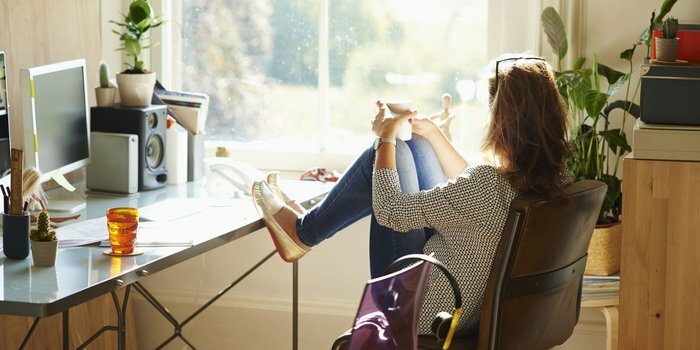 In her book, "So You Want to Be a Work-At-Home Mom," Jill Hart, founder of Christian Work at Home Ministries, writes, "Running a business is hard work, and it takes perseverance and determination. If you approach your business as a hobby that happens to make you a little money, it will probably never be anything more than that." Running a business is not something you can have a casual or lax attitude about. It's not something you work on in your spare time when inspiration hits. You need to be completely committed to your business and focused on driving its success. I know what you're thinking: "But, what if I'm just starting out and need to split my time between my business and my day job?" I totally understand. But, while you may be working on your business in the evenings and on weekends, you need to do more than just dabble in it. It may be your side hustle, but it should be more than a side project. The purpose behind a business is very different than the purpose behind a hobby. Your hobbies you do for fun and only fun. But, your business, while you may enjoy the work, has a goal. You have a vision and ambition, and you want to grow. If you want your business to last, you can't just go with the flow. You need to have a strategy for where your business will go and how you will get there. What are you trying to accomplish? If it's making a living, what will you do to bring in revenue? How will your process work? In his 2005 Stanford Commencement Address, Apple founder Steve Jobs said, "Your work is going to fill a large part of your life, and the only way to be truly satisfied is to do what you believe is great work. And the only way to do great work is to love what you do." In a perfect world, we would all love our jobs every day. But, the reality is we're not doing what we love every day -- even if it's our perfect career. Running a business involves more than just the fun stuff. You need to be prepared to do work that you probably don't love, such as paying bills, fielding phone calls and perhaps managing a team. The main difference between a business and a hobby? Money. As customer success experts Don Peppers and Martha Rogers wrote in their book, "Managing Customer Experience and Relationships: A Strategic Framework," "If you don't have customers, you don't have a business. You have a hobby." If you're just starting out, you may not have a steady income yet, but that should be your goal. Your business isn't really a business until you're making a profit. To ensure longevity, your business should be something you can make money from for a long time. Successful entrepreneurs know what they're good at -- and what they aren't. Sometimes what you love doing and what you're good at are two very different things. If you aren't good at something, there's no way to turn it into a business. I enjoy singing, but nobody is going to pay me money to do it. Similarly, there has to be a need for what you do. I like playing video games, but that's not a viable business option. On his blog, blogger Seth Godin writes, "You don't find customers for your products. You find products for your customers." To be successful, you need to find that intersection of what you're good at, what you love and what people need. When you can check all three boxes, that's when you know you've struck gold.